We design spaces that make people happy. 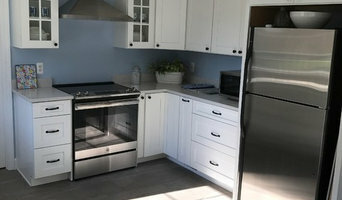 Airy Kitchens provides design and project management services for interior and outdoor custom kitchens. We specialize in modern kitchens that pair well with any style home. In the past ten years, Danica has built a successful interior design business servicing the Mainline and Tri-state areas. In addition to her interior design credentials and expertise, Danica is a licensed Realtor. She is both a member of ASID and The National Association of Realtors. Her design and structural knowledge are an indispensable asset to her clients and her background helps her guide clients through their projects. Prior to returning to school to receive her degree in interior design, Danica lived and traveled in Europe for six years. She has also traveled extensively in the United States, and believes that exposure to different countries, cultures and lifestyles is key to her design sensibilities. 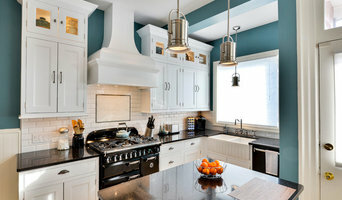 Award Winning Kitchen specialist for over 45 years and Best Of Houzz every year, We specialize in older homes that need re-inventing for today's world. No Charge Consultation Meeting. 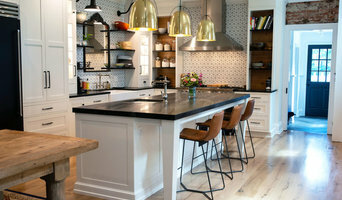 Best of Houzz 2014-2019 View our 70+ Kitchens, Baths Projects and More on Houzz. Performance Kitchens & Home has been re-inventing spaces for Kitchens, Bathrooms, Laundry, Den, Family Rooms... any room in the home that needs creative design solutions. Our skilled team of designers will develop several designs of your space so you can see all options and know you are making the best choice for your home. Performance's Design Center has over 100 door styles and finishes, tile, granite, flooring and hardware choices as well as Kitchen and bathroom displays. We offer color rendering services, this helps you see exactly what your kitchen will look like from every angle and finish giving you the opportunity to make changes before the cabinetry is ordered. Our plans are very detailed and make every aspect of the installation smooth and hassle free. We provide you with a budget guide at the beginning of the design stage and re-evaluate it during the process. We know there are so many choices that can increase your price so on every job we will present cost savings options to keep you on track. Our Design team is ready help you see your vision and guide you through the entire process! Cabinet Discounters was founded in 1983 by the Mikk Family. The company began as a family business selling cabinets out of the garage and now over 30 years later it has expanded to include showrooms in Columbia, MD, Gaithersburg, MD, Annapolis, MD, Mt. Airy, MD, Olney, MD, Chantilly, VA, Springfield, VA and a countertop fabrication facility in Mt. Airy, MD. Along the way Cabinet Discounters has never forgotten its core values and we still have the same philosophy “Earn A Referral from Every Job.” Cabinet Discounters is committed to your satisfaction and we treat all of our customers with great appreciation regardless of the size or scope of the project. Our showrooms offer a friendly, no pressure atmosphere where we work with you every step of the way to make sure that your experience is an enjoyable one. We offer a large range of products to fit everyone’s budget. Clients are guided through the selection process by offering products which are Good, Better, Best & Beyond. This allows clients to easily make selections to fit their budget. AGDesigns is a kitchen and bath design boutique where each individual project is tailored to your specific wish list. We assess your space, provide a cabinet layout, and sell various cabinetry to fit our one of a kind design. We do not have a traditional showroom, but rather cater to our clients in their home, bringing literature, idea books and samples. With a click of a button we bring the design showroom to you, through Houzz, where every possibility imaginable is right at your fingertips! We work with our clients every step of the way, giving that extra personalized touch, and can even help refer you to a remodeler who can take our designs and bring them to life! Whether remodeling or building new, Ashley at AGDesigns prides herself in each and every project. She has been designing for over a decade and loves introducing new design trends and solutions to every project! Please call today to schedule your appointment! Like us on Facebook! Follow us on Instagram! Since 1981 we have been serving our community as a wholesale distributor of cabinetry, countertops and appliances for the home. Our experience, exceptional design staff and attention to detail are inherent throughout every project we develop with our clients. By providing the finest selection of stock, semi-custom and custom cabinetry lines, we have the ability to design a unique custom kitchen just for you, accomodating any style, budget or project. In combination with this vast assortment of cabinetry, we also provide granite, marble, quartz stone, solid surface, cultured marble and laminate countertops to suit your needs. We offer a complete array of major household appliances. We can assist in the selection process to create a unified, well designed kitchen. Our success can be attributed to putting our customers first. We thank our loyal clients who continually refer their family and friends, and our builders and contractors who constantly recommend us to their clients. We look forward to providing you with the exceptional quality and service that our clients have enjoyed for over 30 years. 35+ years of design, engineering, innovation and business, featuring unique blends of style and function for enduring value. From creating a new kitchen and bath layout, to help with colors and textures, our talented in-house designers help you achieve the outcomes you're looking for. 3D Design: Remodels are a big investment. Our 3D design software takes the guesswork out of the design and helps you visualize your new space and tweak the design right up front. Cabinetry: We offer full and semi-custom all-wood quality cabinetry, a complete range of countertops and flooring surfaces, and all the associated fixtures. Age-Friendly: For clients intending to retire in their homes, we offer Universal Design services to make homes age-friendly for a lifetime. Check out our gallery for some of the latest designs. Kitchens: Most kitchens are back in operation in under 3 weeks, because we know what an inconvenience it is to remodel a kitchen. If you're squeezed for time, or you're just starting to gather ideas, we can work with your timing and budget.. Bathrooms: As the leader in curbless showers, we routinely replace baths and old leaking showers with new, open concept showers, complete with waterproof membranes, using the latest proven materials. Give us a call today, we love to talk houzz's! Bluebell Kitchens has been the standard for quality and innovation in kitchen design since 1985. Over time the company has expanded, skillfully designing beautiful bathrooms as well as other interior spaces. Bluebell Kitchens creates classic designs that span the spectrum from traditional to modern, and complement both period and newly constructed homes. The success of our business can be attributed to the friendly staff of talented designers as well as the attention that is paid to every detail. Many of our projects are done in collaboration with the area's leading residential architects and builders. We cover the Main Line, Bucks, Chester, and Montgomery Counties, as well as Philadelphia. Bluebell Kitchens streamlines the design process with a comprehensive understanding of various design programs, which allows for a strong dialogue among design professionals and in turn provides the client with the best possible product. What does a Colora kitchen designer or bathroom designer do? A kitchen and bath design professional in Colora, MD knows to take all of these crucial points into consideration and can help plan the layout, materials and overall look and feel of either of these rooms in your home. Kitchen designers, as well as bathroom designers, are constantly staying on top of trends in the ever-changing industry. The designer also knows the best layout for your room, and can configure the layout for optimal functionality and utilization of the space. In the kitchen the refrigerator, stove and sink should be laid out in relation to one another, and it should be seamless and easy to move from one to the other. A Colora kitchen and bath designer will know how to work with a contractor and architect to plan the flow of the room to work best for your needs. Here are some related professionals and vendors to complement the work of kitchen & bath designers: Kitchen & Bath Fixtures, Appliances, Tile, Stone & Countertops, Cabinets & Cabinetry, Woodworkers & Carpenters. 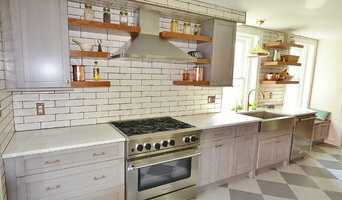 Before you talk to bath and kitchen designers in Colora, MD, consider how you will use the room. For your bathroom, is it necessary to have a bathtub for bathing kids or pets, or would a shower suffice? Perhaps all you need is a half bath for downstairs or a smaller guest bath for occasional use. Similarly, for kitchen renovations consider your cooking habits. Do you eat out every night but need a space to entertain in? If so, a smaller kitchen might be fine for you, with a space devoted to wine storage or a bar, whereas others might prefer a bigger stove or extra cabinets. When interviewing Colora kitchen and bath designers, make sure to share these habits so they can best fit the room to suit your needs. Find a Colora kitchen designer or bathroom designer on Houzz. Narrow your search in the Professionals section of the website to Colora, MD kitchen and bath designers. You can also look through photos in Colora, MD to find a kitchen or bathroom you like, then contact the professional who designed it.